When you're on the road, it's important that you pay attention to those around you. Being able to drive cautiously and defensively can protect you from major injury accidents and bad situations. Generally this takes time to learn. Young drivers, particularly teenager drivers, are generally not as well-trained on the road, and this can lead to problems for themselves as well as other motorists. Our legal team would like to consider auto accidents that involve teenage drivers right now. When you speak with a personal injury attorney, you'll be able to learn more about the matter, but these basics should still prove helpful to you. As we've noted above, teenagers have not been on the road that long, which means that they may be more prone to making mistakes, not observing the right of way, and so on. Similarly, some teenagers can be brash and impulsive, and that attitude may make them more aggressive or reckless with their driving. Whatever the case may be, accidents caused by teens or involving teens have to be taken seriously given what's at stake for all parties involved. 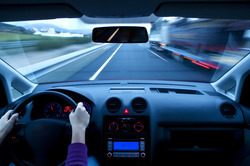 Driver inexperience can be a major problem for teens and others on the road. If, for instance, if a young driver is not sure what to do in a relatively new situation (e.g., traffic signals are not working at a four-way stop), his or her reaction time or decisions may not be the best. This can lead to accidents or near accidents. We mentioned brashness above, and in some cases teens may make the wrong decisions when it comes to other motorists on the road. This means speeding, constantly changing lanes, trying to race others, or taking risks that more experienced drivers wouldn't take. One of the worst decisions that drivers of any age can make is driving under the influence. Even though alcohol is illegal for people under 21, we've noticed that many teens believe that they can get away with drinking and driving. This often leade to serious accidents. If you have a loved one who was injured or killed by a drunk driver, it's important that you speak with a car accident lawyer so that you can seek justice. This isn't to say that all teens are irresponsible behind the wheel. In fact, many teenage drivers abide by the rules of the road and drive quite well. Sadly, even good drivers can become the victims of motor vehicle collisions. When a teen is involved in a serious accident, it can change his or her life. This is particularly worth noting when the accident involves injuries to the neck or spine. After an auto accident, our lawyers will help you receive just compensation for injuries and losses. Our mission is always to be the best advocate for injury victims possible. That means helping them understand all of their options following serious accidents and allowing the accident victim and/or the victim's loved ones to achieve peace of mind. For more information about your legal rights following an auto accident, be sure to contact our personal injury attorneys serving Torrance and Long Beach today. Our legal team looks forward to meeting you in person and helping you in your time of legal need. We are here for you.